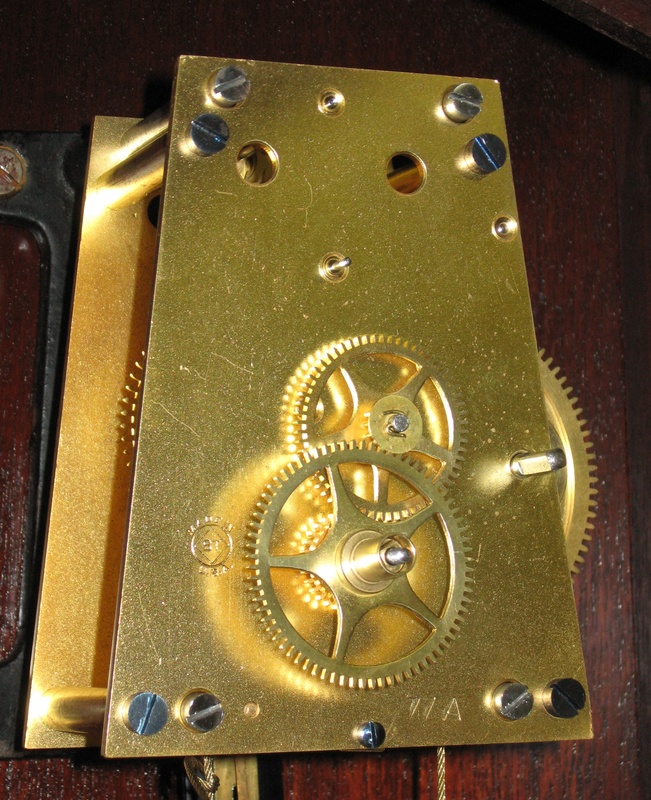 The Seth Thomas Regulator No. 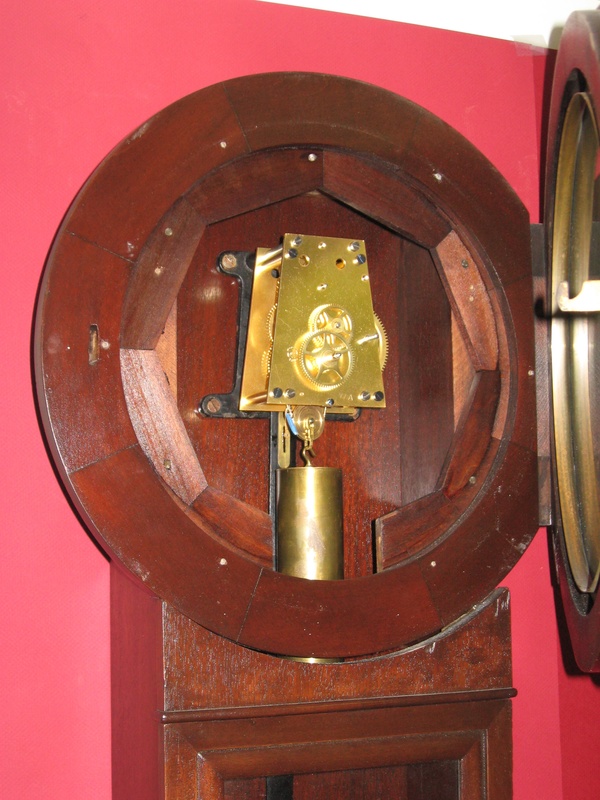 2 was one of the company’s longest running models, made from the early to mid 1860s until 1950. This appears to be a later example. The oak-cased model is common, and a few are mahogany like this one. There is no date code on the clock. The case is 36 inches tall and 15 3/4 inches wide. The minute track is 11 inches diameter (to the center of the minute dots) and the minute hand is 5 15/32 inches long. The movement is marked “77A”. The pulley is 1 1/16 inch diameter. The weight weighs 5 pounds 10 ounces and is 6 5/16 inches tall and 1 3/4 inches diameter. This clock might be classified as a “semi-precision” clock. It has maintaining power to keep it ticking as it is wound. The wooden rod pendulum with large bob provides some temperature compensation, but there is still some temperature error. Repair job 6092. I polished the pivots and installed 6 bushings. I replaced the suspension spring, because the old one caused the pendulum to wobble. I installed a new 5/16 inch brass cable for the weight. I added a washer between the hour hand and minute hand to prevent the hour wheel from coming out of engagement with the minute wheel.